Prefer your driving guide on CD? We’ll get one right out to you! Afloat & Afoot is a celebration of John Burroughs, a Catskills native famous for his writings on the natural world that surrounds us all. 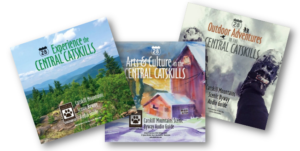 This first-ever audio edition of his work includes two of the writer’s most entertaining and compelling essays: “Pepacton: A Summer Voyage” (narrated by Brett Barry) and “The Heart of the Southern Catskills” (narrated by Rolland Smith). 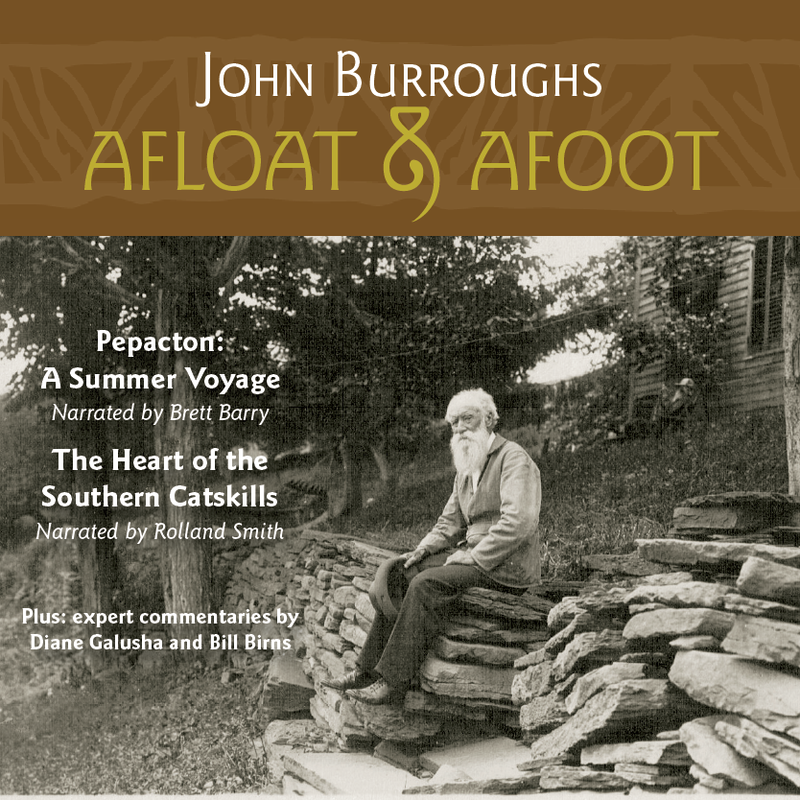 “Pepacton” recounts Burroughs’ 50-mile voyage in a home-made boat down the East Branch of the Delaware River from Arkville to Hancock in 1879. Much of the river is now submerged within the Pepacton Reservoir, part of the New York City water system. 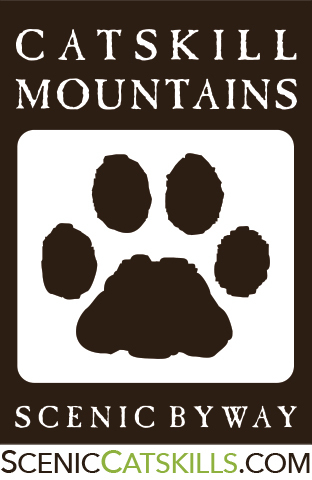 “Heart . . .” describes his attempts in 1885 to surmount formidable Slide Mountain, the highest peak in the Catskills (4200 feet), now part of what is known as The Burroughs Range. In the early 20th century, Burroughs rivaled Mark Twain in popularity. He was a naturalist who wrote nature essays for America’s top magazines, a thinker and literary critic who drew his readers toward a worldview that valued simplicity and harmony with the environment. Born on a hardscrabble farm in Roxbury, NY, Burroughs was a Catskill Mountain boy who wrote of the things he knew and loved: birds, fish, hiking, and canoeing. Friend and advisor to President Theodore Roosevelt, Burroughs was a major influence on America’s earliest conservation movement and an apostle of simple living close to the natural world. From the purple grasses of August, to the yellow elms of October, to the scarlet oak leaves of November, Henry David Thoreau casts his eye on the brilliant colors of autumn and guides us on a journey through the season’s bounty. 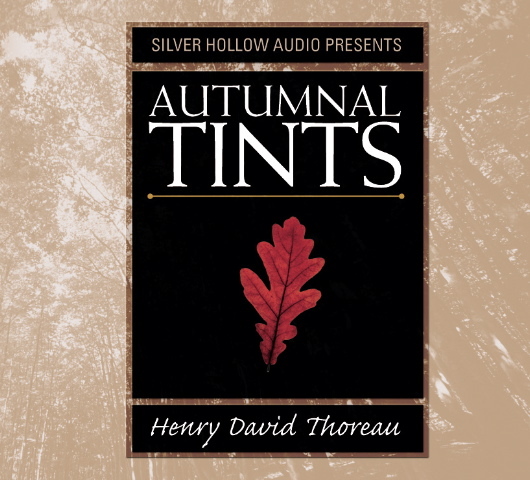 In this classic essay, first published in 1862, Thoreau delights in fall’s foliage and reveals both a practical and philosophical understanding of the changing environment. 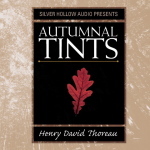 “Autumnal Tints” is one of Thoreau’s best known essays. Written as a lecture, which he delivered in 1859, the text was first published in the October issue of The Atlantic Monthly, just months after his death in May, 1862. 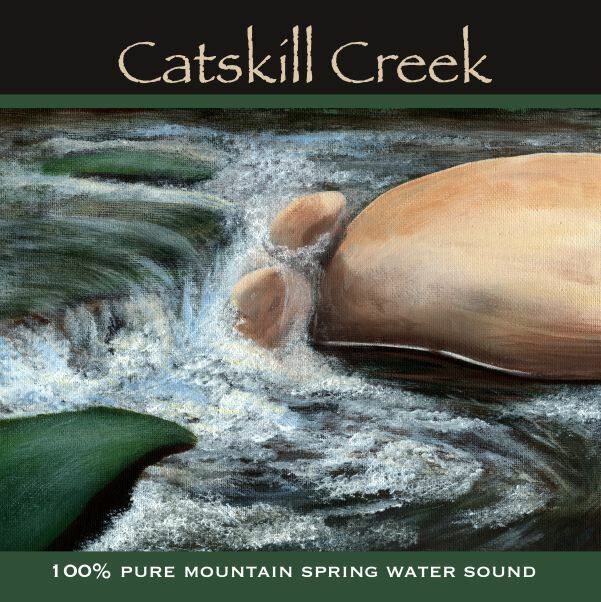 Silver Hollow Audio presents the soothing sounds of a Catskill Creek, bubbling and gurgling over pebbles and boulders through a wooded mountain hollow. The sound of gently flowing water evokes memories of peaceful days by the stream. Listen for relaxation or as an aid to meditation and rest. Minimally packaged, with certified green components.